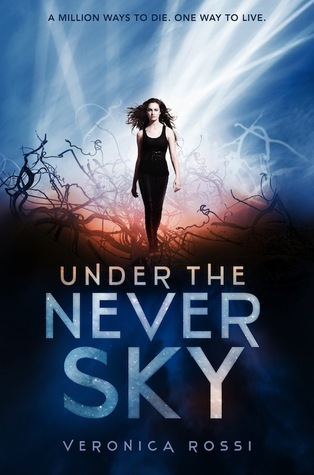 Under The Never Sky is STILL on my TBR list. Actually, I think I have like over 150 on that list. #slamsheadondesk Will I ever reach the end of it??? Ooh, I hope not. 🙂 Let me know if you think I should bump it up on my list. Take care of that foot/ankle! You’ll need it to do some dancing during the holidays. 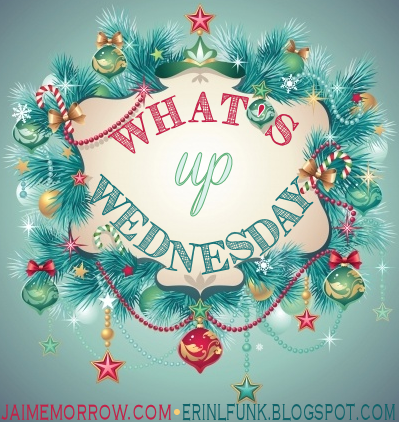 I have just started but will definitely let you know if I think you should bump Under The Never Sky up your list 🙂 My ankle is feeling better so yay 🙂 Hope you´re having a great week! Thanks, Sara 🙂 Twitter parties definitely need to happen! Rereading a book is definitely great inspiration for editing, revising, or resuming a hiatused project. It can make one fall in love with the characters and story all over again. Falling in love all over again with a book is so magical and much needed when it becomes oh so hard to write some scenes 🙂 Hope you have a wonderful week! LOVE your Sipswap mug! I also agree about rereading a book and getting inspiration from it. Good luck with the rest of your move in, Elodie, and writing your NA Thriller! Have a great week! 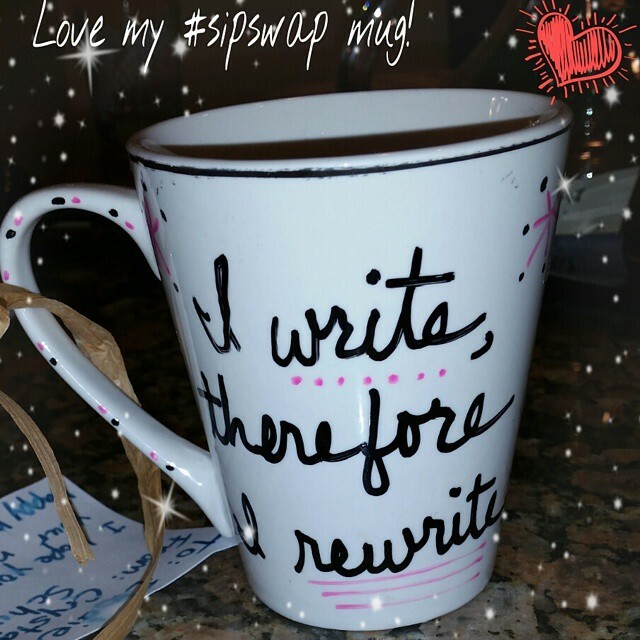 Thanks, Rachel 🙂 My Sipswap mug is exactly what I need to read right now 🙂 Hope you´re having a wonderful week! ouch!! so sorry about your foot! and I LOVE that mug! My foot is doing a tad better today 🙂 Hope you´re having a great week! Love the mug! I love creative mugs. There’s one I have to get someday that says, DON’T LET THE MUGGLES GET YOU DOWN. I need it in my life. 🙂 That mug sounds pretty awesome too, lol 🙂 Hope you´re having a wonderful Friday and thanks for stopping by! Such a bummer about your ankle. Feel better soon, lady! I’m with you on Team Gage… *swoon* And I love your #SipSwap mug. Crystal did good! Gage is one of my favorite book boyfriend this year 🙂 My ankle is now swollen, but I can hobble around…the one thing I´ve learned? Hold on to the railing 🙂 Hope you´re having a wonderful morning! Good luck meeting all your writing goals this month. Have a great week and a great holiday season. Best of luck finishing your draft! 🙂 Love the mug! It`s a pretty awesome mug 🙂 Thanks a lot, Emma! Thanks, Jaime! I am planning to spend some time with UNDER THE NEVER SKY today…I´m sure I´m going to enjoy it! We ended up moving unpacked boxes from our last move in Germany…lol Hope you´re having a great week and I`m cheering you on for your 500 words a day. You can do it! I also re-read past scenes to get in the mood. Some writing advice says not to do that, but writing advice is so varied, I think you have to do what works for you. Thanks, Stephanie! 🙂 Having a tree in our new home makes it feel like we´re really moved in 🙂 And I agree: writing advice is so varied, that it`s important to do what works for you! Hope you´re having a wonderful Friday! 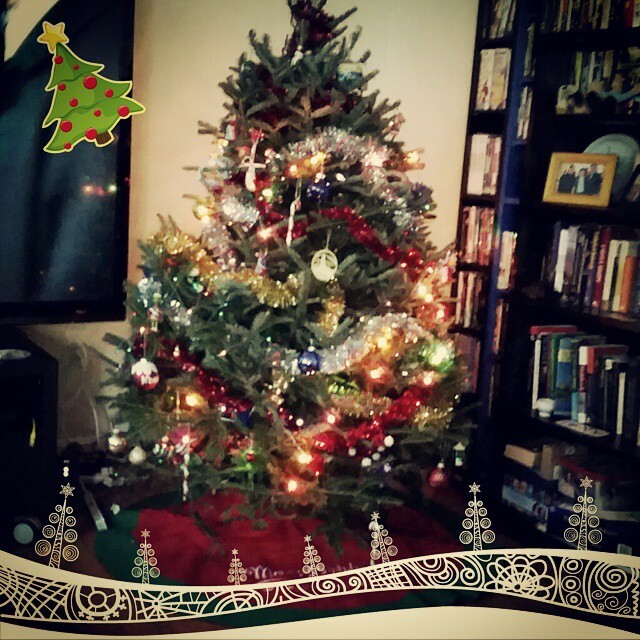 Thanks a lot 🙂 Having the tree really makes it feel like home…and the writing´s going slowly but steadily 🙂 Hope you´re having a wonderful Friday! I sometimes wish I could have a conversation with my past self 🙂 🙂 Hope you´re having a wonderful Friday, Niki! Sorry about the fall! Your tree is beautiful! Thanks, Melanie 🙂 The ankle is now a bit swollen but doesn´t hurt a lot so I´m crossing my fingers it should be fine…I´m looking forward to be spending time with UNDER THE NEVER SKY this afternoon 🙂 Hope you´re having a wonderful Friday! Oh dear! So sorry about your foot injury! Hope it feels much better soon! 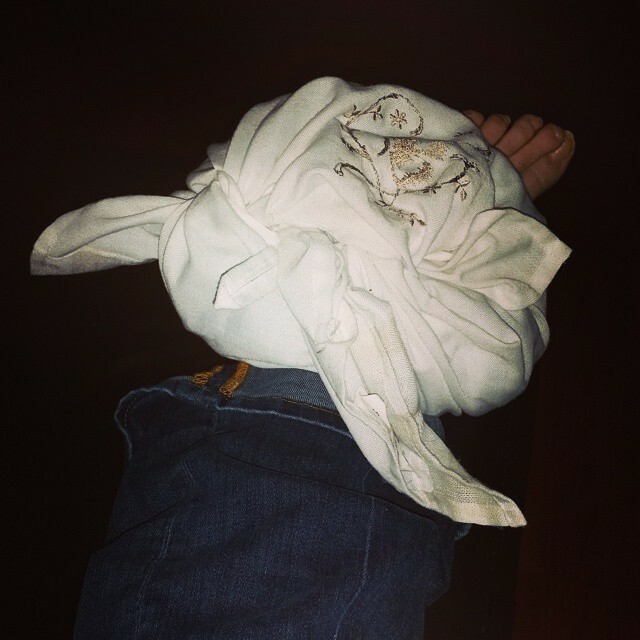 Thanks, Erin 🙂 My ankle is a bit swollen but doesn´t hurt too too much so crossing my fingers it should be fine 🙂 Hope your writing is going well too! How many words do you think your NaNo novel will end up being? I love thrillers, and I hope you finish your draft 🙂 But 39k is pretty much already, so I’m sure you’ll make it. I think my NA NaNo novel will be around 65k…so I have a few more thousands to go 🙂 Hope you´re having a wonderful Friday! Ouch, hope you’re feeling better soon! Thanks, Jennifer! 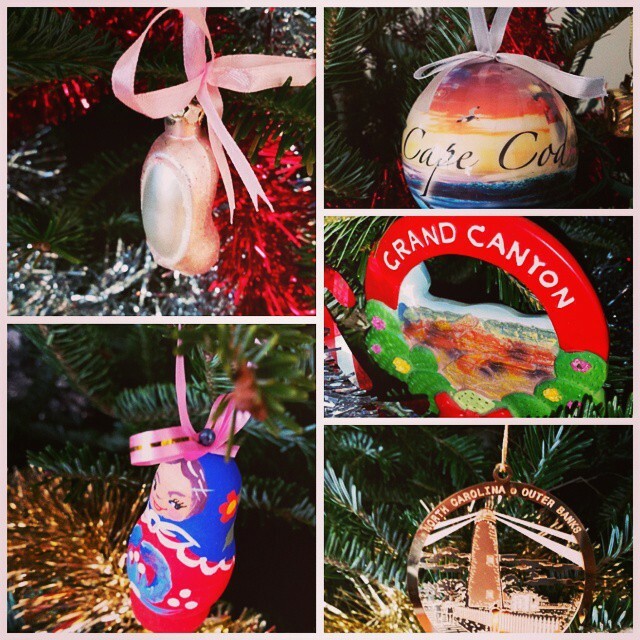 It´s indeed a nesting doll ornament. We bought it in Moscow two years ago 🙂 Hope you´re having a wonderful Friday! First tree in a new house is always so much fun! Yours is beautiful. Hope your foot starts feeling better soon! Thanks, Crystal! And thanks again for an amazing mug!!! I love it 🙂 Hope you´re having a wonderful Friday! But yay, for first Christmas tree in your new house. Holidays in a new house really make it feel like a home. *Gulp ice cream* 🙂 I´ve got ice cubes for my ankle 🙂 Thanks, Kris! Hope you´re having a wonderful Friday!